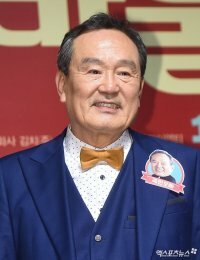 Park started his acting career in 1965 and has been acting for over 50 years now. He starred in various films and dramas, and he has been especially notable for his roles which showcase a warm- hearted, father figure characters. He won the Top Excellence Award at SBS Drama Awards in 1984 and Baeksang Art Awards in 2000. [Spoiler] Will "Liver Or Die" Have a Happy Ending?